Traffic Racing Template project was created for wide range of Unity developers. It fits perfectly with needs of a small independent developer studio and a global game publisher company. 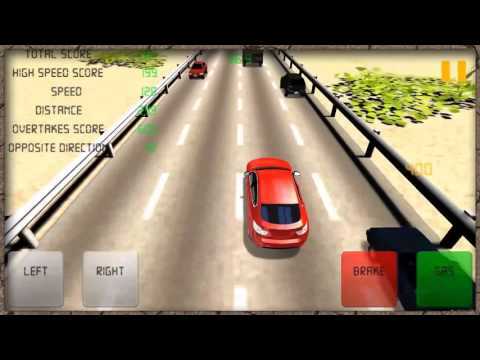 This template contains all necessary features to get started with Traffic Racing games. Watch trailer. The project was carefully prepared and optimized to fit most mobile development scenarios. It supports Android and iOS platforms, was tested on a wide range of devices and has shown reliable performance during tests. Our developers took a good care of the coding part of the project. Code behind the game is well optimized and commented. We built the code project relying on events and object oriented programming style. We saved your performance by pooling game objects and using light data structures. Out of the box template supports unlimited cars, wheels and paint. It should get you going just right away. Two game modes and two locations to begin with. Initial game setup is meant to give your reskin game essential diversity from start. Reskinning will be done in no time thanks to our custom assets implementation system in editor. It will take car off all objects creations, components and assets saving. We use smart data containers in the game. All data – prefabs, textures and all properties are nicely separated from the game logic and its visual representation. All in one place! Sample assets are free to use! Experienced developers and programmers will find it easy to extend the template to add more game modes and locations. Events systems used in the game maintain minimal coupling between classes and objects. We provided you with minimalistic user interface that represents all necessary data during the game. Template supports high scores. Cash system makes it possible to earn and spend, to unlock items in the game. It is very easy to implement any advertising system. We have separated cash purchasing logic for your convenience and loading screens are made in the way that you can plug any ads in them. We have recorded a few video tutorials to describe assets import process in a step-by-step fashion. Moreover, extensive manual document will answer all question that you might get along the way. 2 Game types: One way driving and Driving with facing traffic. Editor importer window for cars, wheels, paint, traffic and tiles. Educational videos and detailed manual. Commented and optimized code. C# Language. Tested on weak and strong mobile devices. Data containers for logic – data separation. Perfect saving and loading system in the game. Integration ready: In app purchases and advertisements. Educational videos from our YouTube playlist will introduce you to assets import and integration. No reading, watch and apply.